Kindness will not always fall on your lap like rain. But be good, be good for goodness sake. As I sank deeper and deeper into sleep, awakening was a bright vortex beyond my reach. I screamed as I fell but my voice wouldn’t come out. I looked down and I saw their eyes huge and sinister now, a million and one hands stretched out to grab me “No please let me go”, all I heard was laughter, screeching loud laughter, then voices, they wouldn’t stop speaking. “who are you?”, I tried to make out the words but nothing. I was limp, a ball of lead , noodles for limbs, I could sense my heart beat weaken, it switched from a steady thump thump to a silent thud and then a restless ease. In that moment I stopped breathing. Have you ever been in that place where your dreams are more desirable than the nightmare you’re living? Well I was there, its called Death. I sank into oblivion, I know this because the voices, they grew distant as I got sucked into a whirlpool of memories. Floating through the uneasy swirl I saw my mother. Her beautiful skin soft and sweet against the golden rays of sun. I stretched my mutilated limbs to touch her but my limbs passed through the mist of floating swirls, a teardrop left my eye and floated towards another memory of her, the dull calm sunk me deeper into folds of empty unknown, until slowly, steadily, I let go. It was the chirping of a blue robin perched on a stalk that woke me up, my crusty eyes struggling to adjust to the light that pierced into my cold flesh warming me sweetly… the sun! I smiled as I rubbed a moist palm over my face, I burst out laughing! hands! I had hands! my joy could not be spoken in words. Satisfied with the feel of the soil, dug deep between my toes. The day I died, was the day I went to prison. My life had just begun, or so I believed. It was shocking to me when I found out that i’d be serving time, being me, my obvious crime. The cell had black grainy walls, tightly compact . Grains below, grains above, I could not see the sun, I could not see the clouds, my cell was very dark. The grainy walls were porous. From time to time food and water were passed down to me though the narrow holes. I spent my first days looking up, I was scared and confused. Why wasn’t I enough? why was I here? who keeps feeding me? where is my mother? Day after day the cell walls grew tight around me. I could not push anymore! wet faced, and exhausted from trying, I looked on, feeling my hope’s of freedom ebb away. ” this might just be my destiny, maybe I should wait and see,” I thought to myself. Days passed. I know this because I steadily watched the transitions of night and day through the cracks in my wall. I could hear crickets outside. One time I tried to whisper to someone lurking around the walls, I was very hot and I longed to feel the wind on my skin, to feel the light of the sun deep in my pores, so I whispered and I waited but no one came. One day, I sat in my cell and looked around, I never really noticed those grainy walls, they seemed to have faces with shut eyes, they were sleeping. Horrified, I ran to the middle of the cell and starred at the walls around me, all sleeping faces, then as if on cue they began to wake up, one right after the other, yawning and clicking their lips in reckless abandon. ”My skin is fair like the morning sun and my eyes bright as crystal waters, I am nothing like you!”, I replied with borrowed confidence from a lender I could not fathom. They all starred in amazement, sheer mockery. ”You? of the sun? then what in Earth! are you doing down here? !”, they stressed the word Eaarrth, as though it was a hidden joke among themselves and burst out laughing. Their voice was loud and eery, like metal scratching on metal surface. It was horrifying, I couldn’t take it. I wanted to cover my ears but I couldn’t , it was only then I noticed I had no hands. ”No! this isn’t possible, I have always been fair like the morning sun”, my tears fell in uneven streaks leaving trails of despair on my now decaying cheeks, ”I am not one of you”, I said in limp defeat as I sat on the ground, and cried bitterly. I closed my eyes and fell into deep sleep. You see statements like this? they are the problem with us. first of, what is a concept? I don’t know that seems pretty inconsistent if you ask me. How many billion circumstances does it take to produce the actual ” concept of truth”? Let’s make a list of circumstances in life shall we? not to mention scary mathematics. Since we can’t talk to 600 billion, let’s talk to you and me. My truth will be defined 9 times that day, based on the 9 different experiences I had. Because I can’t even figure out which of my Truths or your Truths can be thrown under the bus. Especially if you didn’t have anything good happen to you in your own day. Truth needs to be consistent, singular, standard, absolute, solid, steady, real and beyond the dynamic influence of your shape shifting circumstance, to be of any useful help to you. Truth has to be greater than you for your own good. Truth must have and be tested, tried, found worthy, faithful and uncompromising. Truth should not be intimidated by our circumstances, must be; “bring it on I can take it”, “it doesn’t matter I’m in control”, ” nope you were wrong there”, “yup you did the right thing, move on now”, unashamed, unafraid, unmoved, unshakable, unstoppable, unbribable, sustainable, self sustained, willing to die to remain true. hmmm Truth you are so real, I could almost touch you. Not concept but Essence, you’re essential for my survival, my stability, its funny I feel like I know you. I want to be true…. its personal. Can you really deny this subconscious dialogue? In your circumstance, you should choose to follow the way of truth and even if you lose all you thought you had, eventually you’d have what’s really yours,….. peace. That right there, that’s life. You only stay true when you look truth in the face, watch truth pierce through you, and still you accept truth. “I am the way, the Truth and the life. No one comes to the father except through me”. 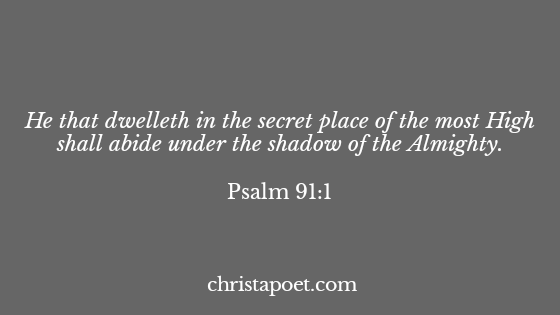 Are you hiding or are you waiting? What are you doing, when you say you’re “praying”? When you’re quiet, what are you thinking? When you’re silent, what are you saying? What is the posture of your Heart? For you it might be the other way around. Am I sent or am I lousy? Do I have the message or am I just looking for attention? Am I serving or just striving to be served one day? The matters of the heart. Its what Christ came to fix. When we speak grand thoughts but live horrible lives..
Who are we fooling when we mix with profanity? We only become unbearable, the world is sick of hypocritical Christianity. Its not what goes in your mouth that defiles you, its what comes out that sickens people. Can’t you see, the matters of the heart matter allot. There’s a huge difference between a person who knows and a person who becomes. What’s you’re impulsive response to a not so favourable situation? What’s the first thing that comes to your mind when you look at that person? That’s your heart speaking through you, its who you are, the one we don’t necessarily see with our eyes. “Woe is me, for I am undone”, say it to God! Not to man, you have nothing to lose before the One who sees Your Heart, the one who sees it all. Neuroplasticity: Why You Really Need To Renew Your Mind. ​ Ever heard the saying “you are what you eat?” well its a true statement! Even as it relates to what we take into our system through all our receptive organs, what we eat through our mouths can ultimately affect our entire physical body systems. If you eat healthy and clean foods your body in all will be healthy and clean! If you eat unhealthy and harmful foods it will in turn show in the general function of your body, you start to get sick, feel gassy or uncomfortable and what not. In the same way, what we take in through our ears and eyes, words, sounds and frequencies affect our emotional, psychological and all round mental health. If you listen to discouraging and abusive words long enough you will find that you will start to change based on what you are constantly feeding on, same thing goes for when we fill our minds with what is good and noble and clean and pure and right, we will be healthy in our minds and this will eventually lead to evident changes in our body system. So basically because we are not of this world we cannot keep relics of the world around us or close to our Heart space. These relics of the world mess with our minds, actions and behaviour by altering our brain science leading to what the scriptures call “Conformity to the world”. So do not subject your mind to the toxic thought patterns of myopic men who do not know your construct or have any idea of what plans God has for you rather fix your thoughts on the Ominiscient Living Word of God who made you, who knew you from the womb and has good intricately woven plans for you. Now I’m sure you might be wondering “what does Neuroplasticity have to do with this?” well apart from the fact that it’s a really big and smart sounding word, 😅 it is actually a very important phenomenon of the mind to look into properly. However I want us to focus on the things we keep around us as people who have been washed by the blood of Jesus Christ. Because of Neuroplasticity, we are often inclined to go back to or relive a moment or have nostalgic feelings from the past because of something we see around us that reminds us of where we were before. So though we are in the world that is still very much full of all the nasties and “seeming goodies” (that destroy us). We have left the old life behind in true repentance because it is very possible to still live set apart and holy lives in the world even though we are not of it. It’s simple. As much as you can, get rid of all those symbols and things that try to bring you back into that life of sin! Also occupy yourself with healthy things like , a hobby, take a walk, have an accountability partner. If its suggestive music that’s your weakness, start listening to Music that teaches you about Jesus and reinforces the understanding of the Truth of the gospel in your mind. It’s a deliberate thing guys. We consciously decide what to feed our minds with and the things we allow around us like music, pictures, books we read, people we listen to, they are all food to our soul and one way or the other we are either conforming to the dictates of the world or being transformed by the renewing of our minds. 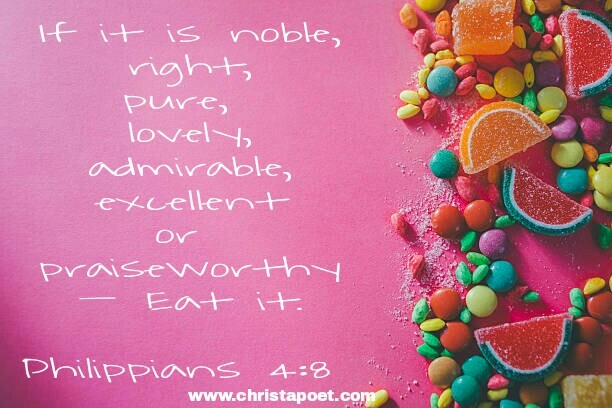 The adornments of purity and holiness of every believer can only be a reality if we choose to feed on Gods Word and allow His Holy Spirit in us not only be Righteousness in us but do righteousness through us.